“Sharing circles are an essential part of the oral tradition of Aboriginal communities. With one Elder among us, sharing the importance of family as the tool that has helped her to connect and heal, Merlyn James, my mom, started off the circle on the best note. 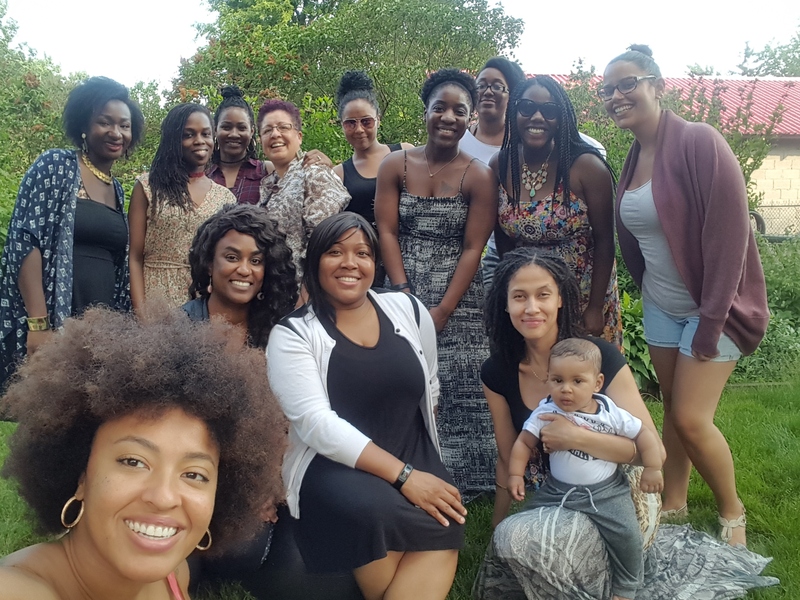 She was unsure what to expect when she made her way into the backyard, knowing only that her daughter was stepping into her purpose and that she needed to be there to support. Thank you mom for being who you are and reminding all the women in attendance that they are part of a family that began that day, also known as the sharing circle community. Being a mom of three young children she was in need of adult time and felt it was time to get out more and make connections with great people. Lauren traveled from Etobicoke to get to the sharing circle with her youngest son. Ready to remind us of the ways Father Yah has transformed her life, her marriage and her family. She spoke about the word of Yah, the truth and shared the importance of his word and keeping his covenant. No judgement existed towards others and no judgement sent to her, as we often see when discussing different lifestyles, the sharing circle was a place to share equally in love and pull what was necessary to help us become our best. Most of us came in unsure of what to expect we all just knew there would be good vibes and information that would move us. The Sun was hot that day but in the circle there was the most pleasant breeze, as though this event had been perfectly situated. We heard your message loud and clear Creator, the circle was perfect. With this being the first sharing circle I’ve ever done I realized there is some to improve but it was so perfect in the way it happened that I almost want to do it exactly the same. And while I will spend some more time to focus on the tradition as an opportunity to share the indigenous knowledge that powers it, I also hope it will be enabled to transform to suit the energy within. If you didn’t make it to this circle don’t worry there will be more. Remember nothing is missed and everything is perfectly timed. The circle was complete on June 11th even as visitors came and went and it will continue to be an example of completeness personified. Thank you to the women that came out and those that hoped to, we are connected regardless of where we go and where we came from. I will tell you when the next one happens so just come, be open and hopefully you will bring a friend.